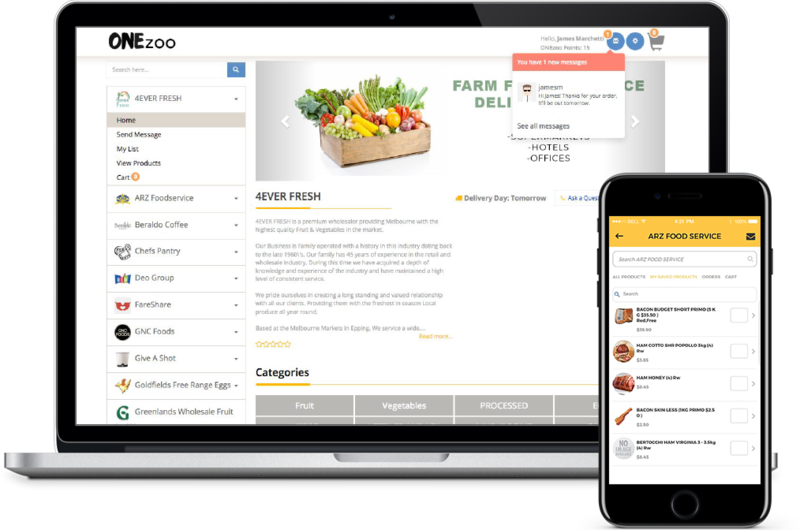 Order from all of your suppliers on one platform, seamlessly and easily, Earn points ONEzoo points are earned by ordering with suppliers you find on ONEzoo. These points can be redeemed at checkout or in future for third-party services. This may not be available to your existing suppliers, if it’s not available and you want it on, let us know and we'll contact them. and pay your own way with no credit card fees and most importantly connect with your suppliers by ONEzoo chat ONEzoo Chat allows you to connect to your supplier in real time. If the supplier is unavailable we will send them emails to get back in contact with you asap. Make sure you have your notifications on in the settings to get alerts when they reply. to negotiate the best price for your business. If you want a hand getting set up, get in contact Call Now Send Message with us and well be happy to help. Browse through the suppliers on our marketplace and find great products. Get instant feedback from our network of suppliers. Place your orders, on your time. Download ONEzoo Ordering App to reorder faster than a phone call! ONEzoo bring the simplicity of face to face contact to the palm of your hand. With the ONEzoo Marketplace you can find great suppliers quickly and easily at any time of the day and night. no stress, well set you up to use your own. Grab our Ordering App and utilize ground breaking ideas to order faster than it takes to call the customer. Connect to suppliers in real time. Connect to suppliers in realtime. Use our messenger to connect to your supplier when it matter to you. Ask aquestion to get back quotations, samples and more - no commitments necessary. With live pricing you can see the price of fish daily, no more waiting until the supplier sends you the invoice, make decision when it matters. Get the competitive edge of your competitors by seeing specials, new products and the full range of products from your suppliers. Connect to your accounting package. Ready to go to the next level? It’s easier than you think. Link your orders directly to Xero, Myob, Sage and more. No more shoe boxes full of invoices, with ONEzoo you can have all your bookkeeping done the moment you place your order. We also link to POS systems, want to know more? Add and remove users as it suits you. Empower your staff with their own login. Going on holidays and want to let your staff place the orders? We have your back. You caneven have them place the orders and wait your approval. Easily switch between venues to see the suppliers available to each store, assign differentmanager for each venue and even restrict their access as you see fit. 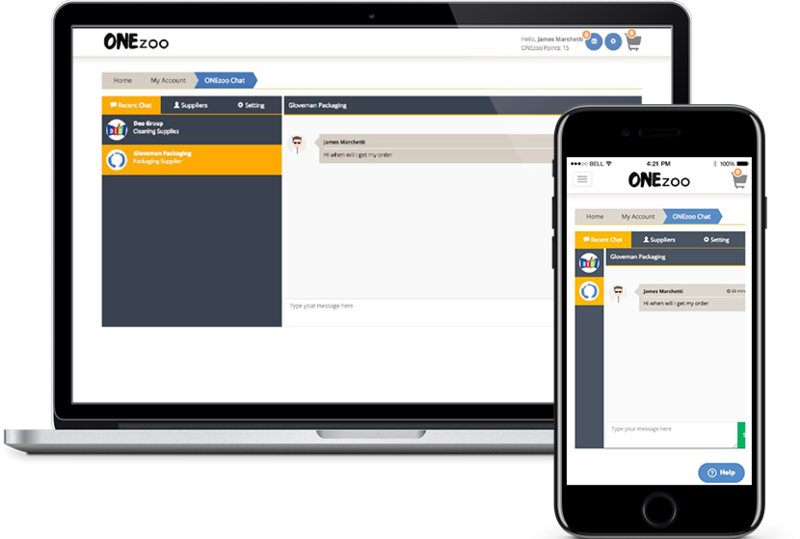 Staff come and go, it's a fact of doing business but with ONEzoo you can add and remove users with the click of a button. Don’t spend days calling all your suppliers telling them of the change, make it happen instantly. Does ONEzoo cost me to order? Can I load my own suppliers? Nothing, ONEzoo is free for customers to use. We make a small margin from the suppliers when they receive orders, as well as building ordering solutions for suppliers, groups and brands. 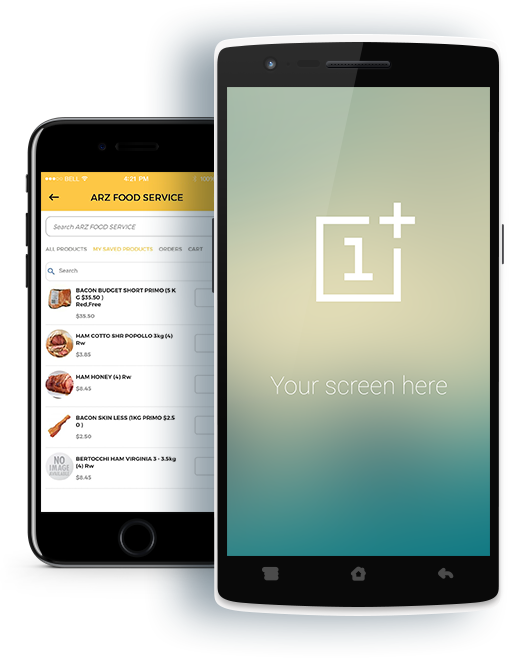 Yes, You can do this yourself via the ONEzoo Ordering App, custom suppliers feature. Alternatively, you can invite your existing suppliers or contact us Call Now Send Message and we can chase them up for you. Yes, Anyone wanting to sell business-to-business can sign up and sell. For instance, a local butcher might buy from a fruit and veg supplier on ONEzoo, but also sell his meat to the cafe nearby. Want to know more? Check out how to become a supplier as a local business.